Home/PK Simpson Blog/What is Police Brutality? It is the role of police to protect society, but there are still cases when members of the public experience unjustified aggression or brutality from the police force. This can leave individuals with the same emotional and physical injuries that accompany other types of assault. Police brutality can be grounds for compensation in certain circumstances. The good news is that there are many legal mechanisms designed to protect the public from incidents of police brutality. The Police Integrity Commission is an independent body in NSW that handles any cases of police brutality or other misconduct on the part of a uniformed officer. The NSW Ombudsman is also an option under certain circumstances. As well as formal channels where individuals can lodge a complaint, it is also possible to receive financial compensation for their injuries. This will require working with a compensation lawyer with the expertise needed to make this claim and guide you through any subsequent legal action. Under the Law Enforcement (Powers and Responsibilities) Act 2002 (NSW), police officers and those working with an officer are only allowed to use reasonable necessary force when completing their work. The use of force that exceeds this can be grounds for a compensation claim from the victim. 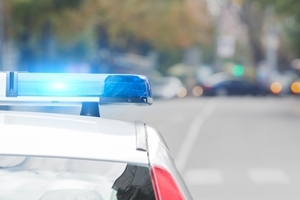 Beyond an incident of police assault, individuals can also receive compensation for wrongful arrest or imprisonment or for malicious prosecution. While police brutality is rare (in many cases it goes unchecked), there have been a number of cases in recent years that have highlighted this risk. Following an incident of police brutality at the 2013 Sydney Mardi Gras, a man was awarded $39,000 in damages. Examples of police brutality can include an overuse of force resulting in any sort of injury. If you feel you have been the victim of police brutality, make sure to get in contact with a specialised injury compensation lawyer. They can assist with every step of a claim and provide detailed advice for victims of police brutality. To learn more, make sure to contact PK Simpson today. By PK Simpson Lawyers| 2018-03-14T09:27:36+00:00	October 16th, 2015|PK Simpson Blog|Comments Off on What is Police Brutality?